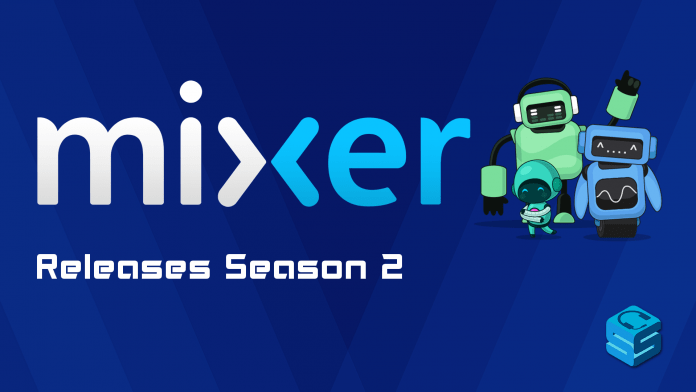 Mixer, the ever-evolving streaming site owned by Microsoft, has started the next move in its evolution, dubbing it Season 2. Why the name? Mixer staff wanted to reflect that this isn’t just one massive update, but more of a progressive move that will continue to evolve over time. Skills appear in chat, including the popular Beachball game that you can play with chat. The first new feature available is Skills. Over the last couple years, the Mixer community has been collecting Sparks, an on-site currency for interactive features. Some have collected a handful, while others have collected a TON (some in the millions!). Using these Sparks, viewers can activate Skills, which can have effects like an emote in chat, a GIF popping up in the corner, animated fireworks in chat, or even a beach ball game that the whole channel can play together! Best of all, by spending these Sparks with your favorite streamers, you actually support them in a monetary way! Called Sparks Patronage, it provides an avenue of support to those who may not be able to afford to support their favorite streamer. By using the Sparks they have gathered during normal viewing sessions, viewers can contribute to a “Spark Pool.” Once milestones are hit (like 50,000 sparks used in the channel), the streamer is rewarded with a set cash bonus. These milestones go all the way up to 5 million, in which the streamer gains the maximum amount of contribution for that week. It is a weekly event that resets every Thursday so viewers can continue to support their favorites on a weekly basis. Purchasing and donating Embers helps streamers financially and reach milestones as well! Embers, which share some similarities with Twitch’s Bits, are one of the features that will be coming soon to Mixer. Embers can be used to activate Skills in chat as well, so you can celebrate your contribution to the streamer in a larger way. They are also a direct contribution, so streamers will see an impact sooner than they would with the Sparks Patronage. Like Twitch’s Bits, Embers will a PAID support, meaning you will need to buy them in order to use them. Earn those promotions by just participating in chat! In most channels on Mixer, you are either a viewer or a subscriber. There’s no other status to it. However, a new feature coming to the platform, called Progression, wants to change that. Your participation in chat, using skills, and general activity on Mixer will allow others to “applaud” you, giving you chances to attain a new rank and unlock exclusive features! Progression looks to shake things up for normal viewers and give them a chance to stand out as subscribers do. -Automatic bitrate switching, to help with varying bandwidths and allow a smoother viewing experience. -FTL streaming support on a lot more platforms like mobile and various other outlets. -A report button that allows the viewer to report any video-specific issues they see, helping the staff improve on the quality for the future. If this is any indication to how Season 2 will go, Mixer looks to be having its strongest push yet!